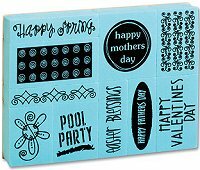 Wooden rubber stamps, clear acrylic rubber stamps, foam rubber stamps – it’s all here to make your card making projects come alive! 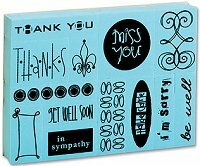 Using stamps is a wonderful way to add flare and detail to any paper crafts. 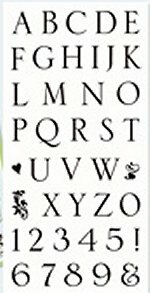 Explore our selection of rubber stamp theme packs, specialty alphabet stamps and more. No matter what you’re stamping, you’ll find the perfect rubber stamp for your project.